Not just Reverb, Chorus, Flanger, Delay, Echo, Distortion, Compression, Phaser and all the other usual suspects but you want to take your samples and make them sound like they have been decades in the making crafted by some mad synthesist with blood and leather poured into the creating of these pieces of sonic power and exquisite audible beauty. Sure there are impressive stocks of voluminous collections of samples neatly labelled and sorted on CD collections but anyone can take them and use them and abuse them for their own dubious purposes. You want to take your samples and pull them out of recognition, into a different plane, a different realm of audio consciousness. You want to process your samples with FX you can't get anywhere else in any other audio program on any platform anywhere, ever. You want your samples to be different, unique, not used by anyone else so your sound is not just creative but better than that, a supreme masterpiece of aural inspiration. In short, you want, MORE. Blachford Technology is proud to announce the forthcoming release of Aural illusion v4.0 for the BeOS. It has more. More than 200 Effects with which to use, abuse, beat and generally mutilate your audio samples. The Karma Sultra of audio processing. Aural illusion will have all the usual editing and processing tools you would expect but concentrates on the creative processing of samples into new and interesting sounds. Unlike other programs or effects units which have 20 different variations on a single effect, Aural illusion will have many, many different effects from which to choose, quite a few of these do not exist in any other sample editing package or FX box. If this isn't enough most of the effects can be user controlled and this allows even more variation. 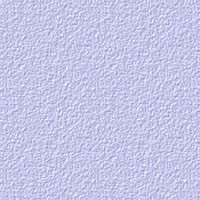 Aural illusion v4.0 is currently expected to ship Q3/Q4 1999 for the BeOS x86. The price has now been finalised as promised at under $100 (US$). 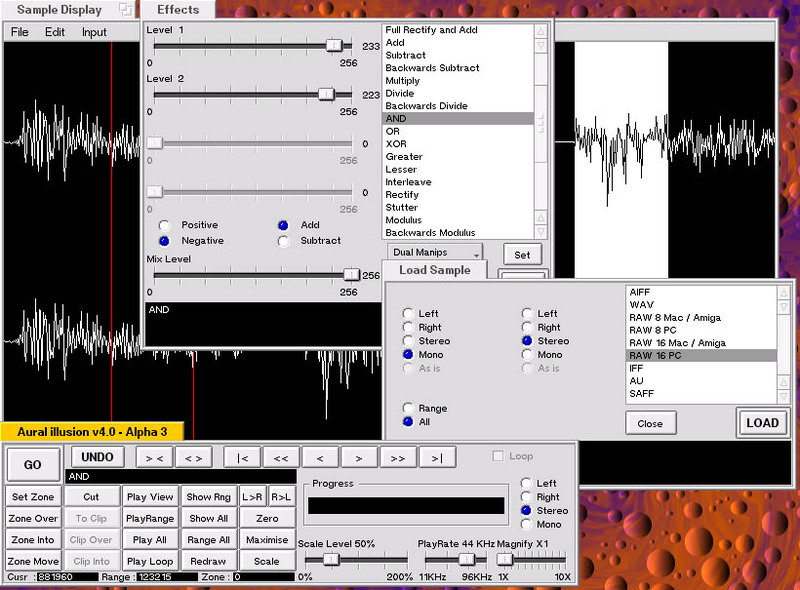 Aural illusion v4.0 for the BeOS. Whats this about a FREE version? Thats right, there will be a free version of Aural illusion on the BeOS. Aural illusion Jr Will be based on the commercial version and will include all of the editing functions but only a few of the effects. Apart from that there will be no limitations, it will be a general purpose free sample editor. It will have the same control and display window as shown above. Er, but what happened to v3.0? v3.0 was nearly completed on the Amiga but with a somewhat lackluster Amiga market these days the decision was taken to switch to BeOS instead. Aural illusion v4.0 is more than just a port. Due to the the Object Orentiated & Multi-threaded nature of BeOS, the internal and some of the external layout of the program has been redesigned and rewritten. It is because of this (and a large number of extra effects) that the version number has now been bumped up to v4.0.